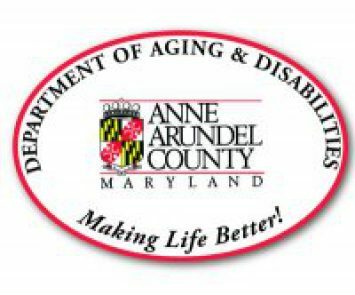 The Anne Arundel County Department of Aging and Disabilities today announced that its Making the Link program recently received recognition from the National Association of Area Agencies on Aging (n4a) with anAging Achievement Award, an honor presented by n4a to member agencies. The awards program is sponsored by CST your Link to Life (CST-LTL). The Anne Arundel County Department of Aging and Disabilities was among the 45 local aging programs to receive honors during the n4a Annual Conference & Tradeshow held July 12-16, 2014, in Dallas, Texas. The 2014 n4a Aging Innovations and Achievement Awards recognizes Area Agencies on Aging (AAAs) and Title VI Native American aging programs that develop and implement cutting-edge approaches to support older adults, people with disabilities and their family caregivers. A part of the criteria for the selection of the honorees was the ease with which other agencies could replicate the program in their communities. “With the implementation of the Affordable Care Act underway, our members are investigating new ways to position themselves in the long-term and health care marketplaces, as well as to strengthen longstanding services to meet the needs of America’s rapidly growing older adult population,” said n4a’s Chief Executive Officer Sandy Markwood. “Our members work tirelessly, and with little fanfare in their communities, and this program enables us to shine a well-deserved spotlight on their ground-breaking work,” Ms. Markwood added. The Making the Link program is a Maryland Access Point program and works to create awareness of the resources that the Anne Arundel County Department of Aging and Disabilities offers to the citizens of Anne Arundel County. A yellow resource pad, which lists department resources and contact information, is available through many area physicians and pharmacies, as well as various civic, community and religious groups. The pads are also currently carried by other county agencies such as the Anne Arundel County Fire Department, Department of Public Works and Cashier’s Office. Making the Link has also developed a Public Service Announcement, which can be seen in the Primary Care offices at Anne Arundel Medical Center, Anne Arundel TV (Verizon channel 38 and Comcast channel 98), and can be viewed on our website at www.aacounty.org/aging.